A fresh addition in my shop, are these pink, white, and grey delights for your hair. A romantic wedding color combination, you can add the finishing touch to your updo or nestle them into your soft braid. Perfect for bridesmaids or the bride. Need more or a different color combination? Please ask, as I'm happy to customize these for you. Why Swarovski? Swarovski's quality pearl beads start with a unique crystal core that is covered with an innovative pearlescent coating for a flawless, silky-smooth surface which resists cosmetics, chemicals and perfumes. I love these! They are beautiful were perfect for my wedding! 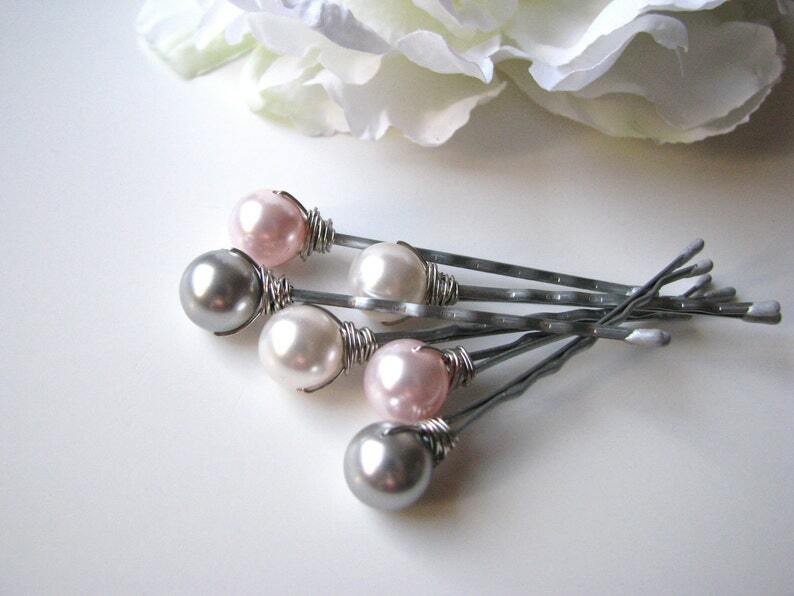 Beautiful hair pins, shipped super fast and will be cherished for a very long time. Thank you!